Choosing the best possible images for your blog is not always easy. Yes, there are very many you can choose from. But how about a unique one or the one that is exactly in your mind? Google does not always offer you with images you have in mind. But don’t worry. You don’t have to be a photographer or designer to bring out what’s on your mind. Here are few tips that will help you get the most accurate images for your blogs. Watermark your image. Use the Watermark Reloaded plug-in of WordPress for automating the watermark process on every image you publish. You can use Photoshop (if you are familiar with it) or other simple tools like Picture Manager to make changes like resizing, changing contrast, color, image pixels and many more. Giving unique alt tags and file names can help. There are many XML Image Sitemaps available as WordPress plug-ins. Make your own sitemaps and send it to Google Webmaster Tools. 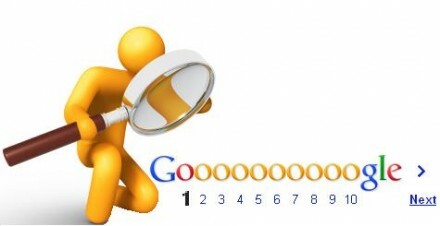 This method will help you push Google to take your images into their database. It will not leave any of your images un-indexed. You will be richly rewarded with the results. Make a list of relevant keywords and use it in the Title tag, Alt tag, for Content surrounding your image and the filename of your image. For those who want to start a blog on image gallery, remember that too many images may ruin your ranking. Some SEO strategies will tell you that more the number of images on a single webpage, the better will be the ranking. Cache plug-ins are built to help you have the best page load time and other stuff. Compress every image before it is published and make sure the size of your file is as low as possible. You can use the Dynamic Drive or the Microsoft Picture Manager for the purpose. And ideal file size would be between 20 kb and 60kb. Let the size of your image fit the page and be pleasing to see as well. JPG is the most recommended file format as it supports all browsers and is easy to compress and decrease loading time. As an alternative, you can try the PNG format. For the best image SEO, use the most friendly or common or even the most unique (if you think it will stay in your reader’s mind for long) naming convention. Replace all your space with an underscore or hyphens when naming. In order to improvise your image optimization and on-page optimization, insert your image between the relevant text area and the keywords targeted. You would do well by testing and playing around with different image placements and alternate tags in order to see what improves your page ranking the best. All the above ideas would definitely help you gain big traffic. Keep monitoring the results after every change you make. After all, self study is the best way to come out with wonders. Andrea Walters, a freelance writer for MyTechHelp – a leader in providing support across various products, brands and tech devices for individuals and small businesses in need of instant tech help with hp support.